We live in a world surrounded and encased in data. Whether it is confidential data, medical data or even household data, there is no doubt that it is part of our everyday life. The National Archives is the official archive of the UK government. 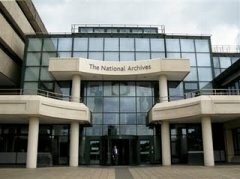 As we at DataSpace UK take care of your data on a daily basis, The National Archives looks after some of the most well known and historical data. It is amazing to think that The National Archives contains over 1,000 years of history. Working with 250 government and public sector bodies they work hard to create, manage and preserve official information. Maybe data interests you? Perhaps you have a passion for history or a particular interest in courts and legal history? Whatever it is that fascinates you, the chances are The National Archives holds it. It could be a medieval law case concerning high treason, hand written records from the days of William the Conqueror or perhaps you have an interest in the Doomsday Book. It is all here. Maps, photographs, drawings, electronic records, digital files and even parchment. Whatever your interest, their cataloguing system and the wonders of modern technology means you can search their site for any information you might be looking for. You can also visit The National Archives in Kew to see the documents in their original format! Perhaps you have some data that needs storing? Or important files that need preserving? If so please contact us at DataSpace UK to see how we can protect and preserve this for you.